John Basson Humffray was born on 17 April 1824 at Newtown, Morganshire, South Wales. He was articled to a solicitor, but left for Victoria in search of gold, sailing on the Star of the East. Humffray lived in Wendouree. He died a pauper on 18 March 1891 of chalky gout. His tombstone was erected by the people of Ballarat. It is believed that John Humffray penned the Ballarat Reform League Charter of Rights. Then Charter was presented at a meeting on 11 November 1854 in front of a crowd of about 10,000. The charter was adopted as the principles and objects of the Ballarat Reform League. It is the first document in the history of Australia to promote participatory democracy. As the events leading up to the Stockade battle heated up Humffray dissaccosiated himself with the movement. He was called a traitor by the diggers when he advocated peace at the Bakery Hill meetings. After the Stockade attack Humffray was wanted by the police. Humffray, [George Scobie] and Black were hid by Phoebe Emmerson in her store until it was safe for them to be smuggled out of Ballarat. After the amnesty for all involved at Eureka was declared Humffray emerged from hiding. In 1855 Humffray was elected unopposed for the seat of Ballarat. In the following year he contested the seat of North Grant in the Legislative Assembly. Gravestone transcription: "The Hon. John Basson Humffray who led the constitutional struggle for political reform in Victoria. DEATH OF MR. J. B. HUMFFRAY. Mr. J. B. Humffray (whose name is closely /la associated with the history of the colony and of old gold digging days) died this morning shortly before 3 o'clock. Mr. John Basson Humffray, in the early days of our Parliamentary history made a considerable figure, though the retired life he has led for many years past has almost caused his name to be forgotten. Mr. Humffray died after a lingering illness, consequent upon rheumatic gout and dropsy. The deceased gentleman was born in Montgomeryshire, Wales, in 1826, and was therefore in his 65th year. His father was a master weaver, and was enabled to give each member of his family a liberal education, John Basson Humffray was intended for the law, but on the news of the gold discoveries reaching England he abandoned his legal studies, and with many others left for the Eldorado of the South. He arrived in Mel bourne in 1853, and subsequently proceeded to Maryborough; where he worked as a digger for some time. Early in 1854 he went to Ballarat, and worked with several parties in the neighbor hood of the Black Hill. At this time the licence question was agitating the minds of all on the goldfields, and Mr. Humffray, being a cultured man and a good speaker, took a prominent part in the meetings that were held in the then canvas township of Ballarat. Peter Lalor, Kennedy, Black, Verne, Raffales and other diggers of the time, feeling bitterly the persecution of the authorities in respect to the diggers' licences, advocated a determined course of action in the resistance of the oppres sive rule, but Humffray, being a "moral suasion man," urged the diggers to seek redress of their wrongs in a "constitutional" manner, and in a way that would not necessitate bloodshed. But his arguments were ineffective on the excited assemblages, as the majority of the gold seekers were determined to put an end to the unsatisfactory state of affairs that existed by recourse to arms. In order to assist in'averting such a crisis, if possible, Humffray started a newspaper called the Leader, which was written in the interests of moral suasion, but its efforts proved futile, and tho journal became defunct on the issue of the seventh number. On the Thursday preceding the Eureka revolt, Mr. Humffray, knowing that armed resistance was contemplated by the diggers, again urged all on the goldfields to lay down their weapons and to contend for their rights by peaceful arbitrament. On this day, however, Peter Lalor was engaged in mobilising and drilling his forces. Taking up a position on a stump he prayed that God would bless the diggers in their effort to "squelch "tyrannical rule in Ballarat, and he then swore in his men under the Southern Cross, which flag is now in the Museum of the Melbourne Public Library. At the same time, but in another part of the field, Humffray standing on a box addressing a large meeting. At him were pointed the revolvers of several diggers who cried, "You have led us so far why not lead us now?" Humffray replied Put down iho revolvers, mates; the Govern ment are more afraid of you with a newspaper in your hand than a revolver. "The riots on the Eureka, took place on the following Sunday, 3rd December, 1854, with the result known. When the British soldiers and diggers met in conflict in the early morning Humffray was calmly sleeping in his tent on the flat where the Eastern-road is now situated. He was aroused from his slumbers by the roll of the musketry of the British troops, and on his proceeding to the Eureka he found a number of his warmest acquaintances lying dead or wounded on the ground in and around the stockade To-day there are very few old diggers to be met with who say that the Eureka insurrection was not justified. Mr. Humffray's opinion to the contrary, many old pioneers, who were hunted from post to pillar in the early days of the goldfields, are agreedthat the riots initiated the reform, and that had the diggers not taken the determined stand they did the persecution would have gone on until something more startling than a skirmish would have occurred. It should be added that Mr. Humffray worked hard before and aftor the riots in the interests of the diggers ; he accompanied numerous deputations to Melbourne to urge an alteration in the goldfields laws; he was the principal speaker among his party in laying the grievances of the Uyyit men for a ora December as prepared a memorial to the Government, praying for for bearance on the part of the authorities, and pro mising to assist in the maintenance of law and order. On the presentation of this document, Mr. Humffray was placed under arrest, but he was set at liberty after incarceration for a few hours. His advocacy of moral suasion led to his being accused of "trimming" in the interests of the Government, but those who knew him well absolved him from all stigma in this respect. Mr. Humffray and Mr Lalor were the first Parliamentary representatives of Ballarat. Their election to the old Legislative Council (which assembled in St. Patrick's Hall) took place on Camp Hill, near the site of the Ballarat Savings Bank. The poll was taken by a show of hands. Nine members had to be elected in the colony-Sir Charles Hotham, the then Governor, having the right to appoint a nominee. This nominee was Dr. Owens, well known as an agitator in the Sandhurst district. Mr. Humffray acted 0as a Parliamentary representative of Ballarat and district for a number of years. In 1861 be in 1864 he was defeated by Mr. C. E. Jones, mainly owing to his vote in connection with the squatters leases. In 1869 he was again returned to Parliament, regaining his seat from Mr. Jones. His colleague was Mr. Charles Dyte. Humffray suffered his second Parliamentary defeat in 1871, and in retiring he expressed his intention of not again seeking honors as far as the Legislature was concerned. The deceased gentleman, who was of a kind and genial disposition, took, however, as a private citizen, considerable interest in public affairs. When the question of the Eureka riots cropped up in public discussion he was a frequent con tributor to the press, and the giving of Informa tion relative to the early diggings afforded him considerable pleasure. Several of his brothers are in the Indian civil service, and he has also relatives residing in Melbourne and in New Zealand. He leaves a widow and one son. Mr. Humffray was never in affluent circum stances. He speculated extensively, and like many others he was unsuccessful. Of late years he received a helping hand from the citi zens of Ballarat, who remembered that he had done much in the interests of the district in the days when Parliamentary representation meant unceasing worry and the loss of time and money. The death of Mr. Humffray calls to mind how few there are left in Parliament of those who were returned upon the inaugura tion of the new constitution in 1855. When he last (in 1874) endeavored to gain a seat in Par liament for the representation of Ballarat East, the candidates and polling were as follow Townsend McDermott, 1047; John James, 742 E. Steinfeld, 586 ; J. B. Humffray, 238 ; Charles Dyte, 174. The two first named were elected. James Basson Humffray, who arrived in Collingwood in 1853, has died, aged 61. His public career began at Ballarat during the troublous times which culminated in the Eureka stockade in 1854, he being one of the popular leaders who sought redress of the diggers' grievances ; but he was always a man of peace, and was in favour of seeking redress by moral and not physical force. He was secretary of the Reform League, formed by the diggers to carry their views into affect. Counselling an agitation only, he left the stockade the night before the battle, and after that affair he continued the agitation. He went with others to present the resolutions to the Governor, and was arrested. At the first Parliamentary election he was returned to the Assembly for North Grant, which included Ballarat East When Mr. Heales took office in 1860, Mr. Humffray was chosen Minister of Mines. The Administration retired in 1861. He was returned the last time at the general election in 1868. He has left a widow and one son. "Mr J.B. Humffray, one of the first Parliamentary representatives of Ballarat East and Minister of Mines in the Heales administration died this morning after a lengthened and painful illness. He was 61 years of age, and leaves a widow and several grown up children. James Basson Humffray who was born Newtown Montgomeryshire, Wales in 1830, was articled in the old country to a solicitor and arrived in this colony towards the end of 1853, and went to Ballarat early in 1854. His father was a manufacturer in the flannel trade. The subject of our sketch at first worked in the Gravel Pits Ballarat and was not successful in that vocation. For some time he prosecuted his studies with the intention to procure admission as a barrister, but he never passed the necessary examination. Subsequently he opened a bookselling and stationers shop in Main road Ballarat but he relinquished that business and during the later years of his life he was dependent on charity. Mr Humffray's career as a public man began at Ballarat during those troublous times which culminated in December 1864 in the Eureka affair he having been one of the popular leaders who sought to obtain redress of the diggers grievances. He however was always a man of peace-an advocate of moral as distinguished from physical force. He was secretary of the reform league formed by the diggers to carry their views into effect and in foot his name frequently appears in the chronicles of the events preceding the storming of the Eureka Stockade by the authorities Counselling legal agitation only to the last, he left the stockade on the night before the battle, which took place on December 2 1854. Immediately after that event he re appeared on the scene, still consistently trying to promote peace. On December 6 a meeting was held at which resolutions in favour of the exercise of forbearance and humanity were passed. Martial law had then been proclaimed and there was some vagueness about the resolutions which might be construed as conveying a gentle remonstrance to the authorities on the one hand or to the rebellious subjects of the Queen on the other. At any rate they did not satisfy the authorities and when Mr Humffray who had taken an active part in the meeting went with others to present the resolutions to the representative of the Governor at Ballarat he was arrested. He was however liberated almost immediately. At periods of great excitement when passions are burning persons of moderate views are always liable to be denounced as trimmers. That epithet was applied to Mr Humffray in the days we are now dealing with by some of the extremists on his own side. He was indeed accused of having been a traitor to the diggers cause. 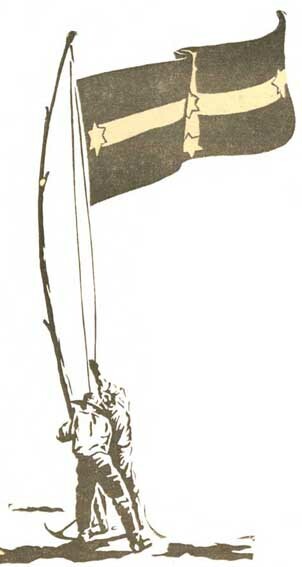 But in calmer times it was generally acknowledged that he had done good and faithful service to the side with which he had identified himself and it became known that so far from having been traitorous he had given secret assistance to some of the unhappy men who had been wounded at the affray and had scorned to secure the blood money which was placed on their heads. That his course of action throughout the crisis commended itself to the approval of the community in which he lived is evident from the circumstances now to be related. Under the Constitution Act 1855 two Houses of Parliament were created in Victoria and pending the royal assent to that measure, five representatives from the goldfields were added to the old Legislative Council. Mr P Lalor and the subject of this sketch were chosen to represent Ballarat. At the election of the first Parliament under the new constitution in October 1856 Mr Humffray was returned to the Assembly for North Grant which electorate included Ballarat East. He was one of the first of our legislators if not the first to try to pass a Mining on Private Property Bill he having moved in that matter us far back as March 1857. In later years he made other unsuccessful efforts to secure that object. Ballarat East having been an electoral district, he was returned by in August 1859. When Mr Heales took office in November 1860 he chose Mr Humffray as one of his colleagues making him the first Minister of Mines of the colony, a mining department not having, existed here before that date. That Administration retired in November 1861 and Mr Humffray was defeated at the next general election in 1864. He was however again returned for the same electorate and for the last time at the general election of February 1868. His subsequent efforts to obtain a seat were not successful. As a legislator Mr Humffray never attained a prominent or influential position He seldom addressed the House and when he did it was rarely indeed on the more important questions which agitated the community during his parliamentary career. In the political struggles of 1868 he voted as a rule with the Constitutional party and was one of the minority which in the Parliament which began in that year, opposed the M'Culloch Government. Unlike several other members of that minority, however he was always in favour of payment of members in our Parliamentary annals. Mr Humffray's name last appears in connection with a grant of about £300 which was voted to him in 1872 as payment of his claim (held to be good equitably but not legally) to a pension on account of his having held office as Minister of the Crown. In July 1858 he opened the first gasworks erected in Ballarat. Capt Brown did not lecture on Monday night for the simplest of reasons, Bath would not give him his room. The meeting to-day was held at 3p.m., the main speakers were as usual. The following are the resolutions; it was "erambe bis decocta," alias "cauId kail het again." The first resolution was proposed by C. F. Nicholls, seconded by James Ryce. "That this meeting protests most earnestly against the course pursued by the Attorney General in the case of the Ballarat state prisoners, and against the insult offered to the inhabitants of Melbourne in the persons of the jurymen, and denounces as cruel and tyrannical the unconstitutional suspension of the Habeas Corpas Act, in the punishing of many by a tedious imprisonment, who have not been found guilty, and whom the Attorney General dare not bring to trial before an honest jury for fear of an acquittal " Proposed by J. B. HUMFFRAY, and seconded by H. S. BINNEY, "That this meeting adopts the prospectus, and pledges itself to support the Victorian Reform League." Proposed by J. F. COLEMAN, and seconded by Captain BROWN, "That this meeting tenders its thanks to those members of the Bar who have taken part in the defence of the Ballarat State prisoners." The meeting on Bakery Hill was about from 400 to 500. A collection was made to the amount of 10/. The new rush near the "Star" is said by some to be doing well, others contradict the assertion. A few days will determine the matter. MEETING AT THE CHARLIE NAPIER HOTEL. On Thursday evening Mr Humffray held a monster meeting in the large concert room be longing to the Charlie Napier Hotel, when he addressed the electors. There were between 1500 and 2000 persons present. Mr Ryce was to have filled the chair; but in his absence, Mr D. Oliver occupied it, and called upon the meeting to give every one a fair hearing. 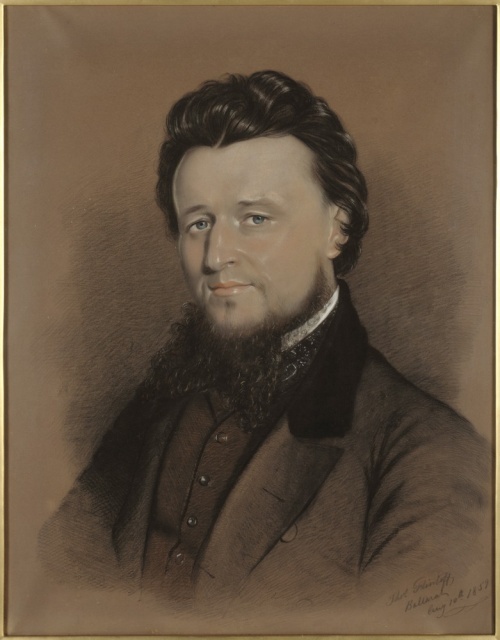 "That this meeting is of opinion that many of the evils of past legislation for the gold fields have arisen through ignorance on the part of the law makers of the wants and exigencies of the mining community, and therefore deem it both the interest and duty of the electors of North Grant to return a man having a knowledge of, and identified with their wants." Every one knew to what desperate resistance the tyranny of ignorant officials had formerly driven the miners. The alteration in the mining regulations had been a great benefit ; but if they sent into the Assembly a man ignorant of their wants, if they sent a capitalist he would cramp that benefit they had received for ever. Mr Fraser, after referring to questions of reform in the Local Court, wound up his speech by putting the right man in the right place. Mr N. B. Rodier very briefly seconded the resolution. ! Mr O'Connor supported the resolution - it was an insult to their intelligence to use any argument in favor of the resolution, it's truth was too apparent. No doubt there would be plenty of men come forward and try to talk them over ; but, if they sent men of that kind to represent them, they would deserve what they might get as their reward. He would not con ceal facts that were before his eyes and his mind. If they sent a man who could talk them over, when tiley were laboring under the iron heel of oppression, he would tell them that they well merited their reward. They wanted a man identified with their interests, just as a community' of blacksmiths would rather be re presented by one belonging to their own occu pation, and knowing their own feelings and wants. The resolution was then put and carried. Sir,-The Geelong Advertiser of the 22nd of September had inserted in its Ballarat correspondence four charges, two of which reflected severely on the character of Mr Humffray, I should not have taken any notice of those charges had not in your issue of yesterday 'Mr Amicus-sive Denovan again reiterated the same. I now feel it my moral duty to contradict those charges; however, much I may be blamed, for doing so, for as you well know Mr Editor, my motto has always been " Flat justitia elso pereat mundus" and for that simple reason I cannot allow Mr Humffray's character to be blasted innocently, or allow its opponents to obtain votes under false pretences, which otherwise would tell for Mr Humffray. Sir, - In the report of Mr Humffray’s speech, delivered by him at the Charlie Napier on Thursday, he is stated to have made use of language so derogatory to my character, that at my request a friend waited upon him to ascertain whether of not the report was correct. He denies the accuracy of the report, and utterly disclaims all intention of imputing the charge to me, May I request that you will, as a matter of justice to me, give insertion to his letter in contradiction to the report in the paper. Dear Sir, - My attention has been called to a report in the Miner of this morning; wherein I am reported to have said - “Hayes’ charge that he (Mr Humffray, J.B.) had refused to attend and give evidence or advice in his favor was a wicked and cruel lie.” This report is not correct, inasmuch as my words applied to the attorney or those on his behalf who had made the statement to you to the effect that I had refused to give evidence on your behalf, and I now utterly disclaim all intention of for one moment applying the charge to you. I am, Yours, &c., J.B. Humffray. Humffray Testimonial made out to Hugh Gray (digital image), Federation University Historical Collection, Gift of Peter Spark. 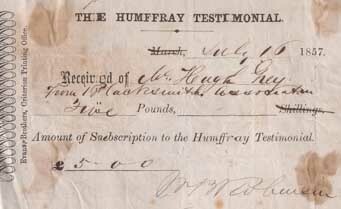 HUMFFRAY TESTIMONIAL.-A meeting of the committee, appointed for carrying out the object contemplated by the friends of Mr Humffray with respect to the presentation of a testimonial to that gentleman, was called for last evening, at the North Grant Hotel. There were present Messrs W.B. Robinson, (in the Chair,) Oliver, Dyte, Harris, (Hon. Sec.,) and H. Smith, C. E. The minutes of the previous meeting were read, and confirmed, and the Honorary Secretary announced that £150 had been subscribed. It was then resolved that the cheque books and circulars printed, be delivered to Messrs Yates and Fraser, for distribution to collectors, and to- the various Claims throughout the district, and that cards, to be hung up in Surveyors' offices, and other places, be printed. At this juncture Messrs Yates, Gillies, Fraser, Baker, Dr Allison, and several other gentlemen came in, and it was resolved to add all present to the committee. It was then decided that a deputation attend the monster meeting, on Saturday, for the purpose of bringing the subject of the testimonial before the meeting, if judged expedient, and after some furhter [sic] conversation the business closed. PAYMENT OF REPRESENTATIVES. -In the heat and excitement of political warfare in these colonies, and more especially in Victoria, we are but too apt to forget the grave and necessary duties, which the peculiar position of colonial society entails on us. :Educated, as most of us have been, in lands where the accumulated wealth of centuries, affords in its possessors a vast and lavish choice of highly educated and independent gentlemen from whom to choose Parliamentary representatives, or where, as in the United States, their payment is made a burden on the revenues of the State, we are prone to be oblivious of the claims that those have on us who represent us, and to the best of their ability do our work, in the Parliament of the Colony. When a little consideration is directed to the circumstances in which we are placed, there are but few who will not admit, that the payment of representatives is a duty almost imperative on us, and one which cannot be neglected without great discredit to one political character, if not of danger to our political interests. The field from which we can procure parliamentary representatives, - men fit to grapple with and overcome the influences that now threaten to destroy our hopes in the future - is but limited at the best; and if by an unwise economy we restrain our choice, to those only whose pecuniary position enables them to sacrifice time and money for the honor of a seat in parliament, or to those whose laxity of principle will lead them to seek the same position for the furtherance of their own ends, we shall merely deserve to have our interests neglected, and our claims dis owned in the parliamentary arena. We do not mean to say that in this matter - the payment of representatives - Ballarat is much, if any, behind the other mining constituencies of the colony ; but there is still much to do before we can even venture simply to say-that we have done our duty. We are not now addressing ourselves to the electors of North Grenville, as we are of opinion that their duty at present lies in quite a different direction from that to which we are now addressing ourselves ; but to those of North Grant, the claims of whose representative have again been warmly taken up ; and, this time we trust, with a better result than before. In our advertising columns will be found an address to the inhabitants of the electoral district of North Grant, calling on them to respond to the appeal which is now being made to them on behalf of the Humffray testimonial. We gladly seize the opportunity of impressing on the electors the urgent necessity which exists for warmly carrying out the principle involved in this question. Mr Humffray has undoubtedly, on the whole, done his part well; and it now remains for his constituents to wipe off the obligations which he has conferred on them. In all local questions, Mr Humffray has taken a warm interest ; and the deputation from the Eastern Municipal Council, which lately proceeded to Melbourne for the purpose of urging on the Government the claims of that municipality, attributed much of the success which attended them to his instrumentality. On the all important Land Question, Mr Humffray has always been on the right side, and than this, there could not well be a better pass port to the favor of any constituency. We trust, therefore, that the gentle men who are now moving in this matter, mil not allow it to sleep, and that, their efforts will be cordially responded to by the electors of North Grant. Old Ballaratians scattered all over the Commonwealth, and, indeed, over the English-speaking world, are turning their eyes and their thoughts back to Ballarat. To them has come the call for a home reunion during Easter week. A general committee, with several sub-committees, is making extensive arrangements for a grand reunion extending from Tuesday, April 3, over Monday, April 10, and it is expected that many hundreds will avail themselves of the opportunity of revisiting the scenes of their early life. Of the people who have left Ballarat during the last 30 years, there are estimated to he about 11,000 abroad. The figure is arrived at by taking the population in that period, the excels of the birth rate over the mortality rate, and the average death rate among those who left the place. Whilst Ballarat people are to be found all over the world, the vast majority of those who have left the city are settled somewhere in the metropolitan area of Victoria. From them the call home is meeting with a splendid response. Intimations have also been received of dwellers far distant returning home for Easter-week. Unfortunately, many brave young men who a few months ago thrilled at the sound of the name of their native city will not even hear the call home. They lie in their eternal sleep in Gallipolian Valleys or on French farms in the vicinity of the Somme. In the midst of its rejoicing, Ballarat will not forget its noble dead, nor its proud sons who are still fighting Freedom's battle. Drawn generally from England, Scotland, Ireland, and Wales, the men of the early Ballarat days were of a resolute and progressive type. Very few of them went to the goldfields intending to remain there, but the freedom of their environment accorded with their disposition, and they settled down to fashion the bushcountry around them into the beautiful city that Ballarat now is. The late Mr. Duncan Gillies was typical of the first residents of Ballarat. Digger at first, he became a member of the Legislative Assembly for Ballarat West in 1860, but lost his seat in 1868, when he first accepted office as Minister for Lands in the Sladen Ministry. Subsequently he was Premier of Victoria. An earlier pioneer of Ballarat, who also became a legislator, was Mr. Peter Lalor, one of the leaders of the Eureka Stockade riot against the Government authorities in 1854. Mr. J.B. Humffray and he were the first representatives of Ballarat in the old Legislative Council before the Constitution Act came into force. While representing the electorate of Grant in the Legislative Assembly Mr Lalor was elected Speaker of the House. Colonel W. C. Smith, or, as he was more familiarly known during the greater part of his Parliamentary career, "the Major," was another Ballarat man of some note who attained Ministerial rank. The late Mr. W.M.K. Vale, a former Attorney-General, was a Ballarat man of those stirring political times, while the late Sir Henry Cuthbert and the late James Campbell, M.L.C.'s. were typical Ballarat men who also became Ministers of the Crown. Turning to the municipal life of Ballarat - speaking collectively of the city and the town-the services of such men as James Oddie (the first chairman of the municipal council), Dr. James Stewart, Robert Lewis - (of Rowlands and Lewis), Daniel Brophy, John Whiteman Gray, J. Noble Wilson, Frederick M. Claxton, John Hickman, E. Morey, James McDowall, John G. McDonald, Charles C. Shoppee (city), W. B. Rodier. Dr. Clendinning, William Scott, Emanuel Steinfeld, James Russell, James Long, Theophidus Williams, and John Ferguson stand out. They were men of broad minds and high ideals. Ballarat's interests were supreme with them. Among other men who influenced the life of Ballarat considerably in its earlier years were Mr. John Russell Thomson, whose magnificent bequest of statuary in the pavilion at the botanic gardens has attracted notice in world art centres; Mr. Thomas Stoddart, who made the first gift of statuary to the botanic gardens. Mr David Ham, a member of-the Legislative Council; Judge Rogers, Judge Trench, and Judge Gaunt, Mr. R. Walsh, Q.C., Mr. C.B. Finlayson, Q.C. (formerly Crown prosecutor), Mr. R. M. Serjeant (member of 'the Legislative, Assembly in I860), Mr., Andrew Anderson, Mr. R.T. Vale (a former member of Parliament for Ballarat West, who died recently), Mr. E. J. Bateman, one of the founders of the Ballarat "Star". Public men of note who are still living include Mr Agar Wynne (who attained Ministerial- rank in both Stale and Commonwealth), Mr. J. Y. McDonald (who within the last few weeks resigned from the Legislative Council), Mr. T. D. Wanliss (formerly n member of the Legislative Council, and now a resident of Scotland), Mr. W. M. Achesoon, Mr. A.M. Greenfield, and Mr. J.M. Bickett. Among the old Ballaratians residing in various parts of the Commonwealth are men prominent in legislation, law, art, science, and business. Legislators are found in the Minister for Customs (Mr. Jensen), the Victorian Minister for Agriculture (Mr. Hagelthorn), Mr. Membrey (honorary State Minister), Mr. McWhae, M.L.C., and Mr. Menzies, M.L.A. The Chief Justice of Tasmania (Mr. Justice Nicholls), Judge Eagleson, and Judge Wasley are old Ballarat boys, as is Sir Bernard O'Dowd, poet and assistant, State Parliamentary draughtsman. Mr. H. E. Starke, the well known barrister, though born at Creswick, spent his boyhood in Ballarat. The Commonwealth Under Treasurer (Mr. J. R. Collins) is a native of Ballarat. Medical men among old Ballarat boys include Dr. Orr, of Collins street: Dr. T. E. Wills, of Malvern; Dr. H. E. Letcher, of Adelaide; Dr. G. F. Sleeman, of Creswick; Dr. J. H. Sleeman, of Portland; Dr. Gawne of Jeparit; Dr Fred Middleton, of the Ross Sea Antarctic Relief Expedition; and Drs. F. und H. V.- Bennett, of Prahran. Mr. A. A. Buley, formerly principal of Grenville College, where Mr. Justice Nicholls, Judge Eagleson, and Judge Wasley received their secondary education, is now on the staff of the Melbourne High School. Mr.D. Avery, of the Working Men's College-staff; Chief Inspector Fussell, Inspectors T. E. and J. J. Bothroyd and Mr. W. F. Gates (assistant chief inspector), of the Education department; and Mr. A.A. Peverill, chief clerk of the Lands department, are, old Ballarat boys, as well us the mayor of Prahran (Councillor Austin Embling), the Rev. S. Hoban, of the Central Methodist Mission, Sydney, and the Rev. M. Daly, Colac. Mr. William Davidson, formerly inspector - general of public works in Victoria, received his initial instruction in Surveying while a resident oí Ballarat, and the State income tax commissioner (Mr. R. M. Weldon) is a native of the city. Mr. J. F. Kirby, 'of Coleraine, who won the Melbourne Cup with The Parisian in 1911, was captain of the Ballarat Football Club in the seventies. Both Mr. Will Dyson, the artist, and Mr. E. Dyson claim Ballarat as their birthplace. Mr. Watkin Wynne, general manager of the "Daily Telegraph" newspaper in Sydney, in an old Ballaratian. He won the swimming championship of Ballarat in 1876, and the championship of Geelong by defeating Stedmun, on the Barwon River. Mr. Mcphan Ferguson, head of the Engineering firm which bears his name, was in business in Ballarat before he came to Melbourne. Ballarat men are conspicuous among members of the Stock Exchange of Melbourne. They include Messrs. W. J. Roberts (chairman). John McWhae. John S. Reid, Wallace Smith, John Rippon, A. E. and B. Millard, A. H. Tonkin, F. W. Holst, and J. Buchanan. Among other old Ballaratians may he mentioned Messrs- Alfred, Walter, and Frederick Sutton, of Suttons Proprietary Limited; Frederick and Maurice Cohen, of S. Cohen and Sons, hardware merchants; John Bailey, conductor of the Melbourne Choral Society: John West, secretary of the National Union; Hugh V. McKay, of the Sunshine Harvester Works; J.W. Kirton, formerly a member of the Legislative Assembly, and now secretary of the Master Bakers Association; Ex-Inspector Beckmann, of Warrnambool; Messrs. Hans Irvine, formerly member for Grampians in the House of Representatives; S. E. Figgis, secretary of the Colonial Gas Company, and a noted bowler in the Ballarat Cricket Club 33 years ago; Lieut. Colonel Wanniss, who had charge of a battalion in the First Australian Expeditionary Force; Captain D.J. Ham, who served through the Boer war; Major Jackson; and Messrs. J. IH. Dill and D. Murray, legal managers: E. Cocking. J. L. Anderson; James Scobie, the well-known trainer; Mr. H. Niven, (F.W. Niven and and Co.), and Mr. E. A. Bennett (Superintendent of the Homeopathic Hospital). Corfield, J.,Wickham, D., & Gervasoni, C. The Eureka Encyclopeadia, Ballarat Heritage Services, 2004. Townsend, Helen, Above the Starry Frame, Macmillan, Sydney, 2007. ↑ Wickham, Dorothy, Goldfields tension leads to battle IN Ballarat Courier, 28 November 2009. ↑ Tasmanian Daily News, 20 November 1855. ↑ The Age, 19 March 1891. ↑ Sydney Morning Herald, 19 March 1891. ↑ The Argus, 19 March 1891. ↑ Geelong Advertiser, 15 March 1855. ↑ Ballarat Star, 4 December, 1856. ↑ Ballarat Star, 20 September 1856. ↑ Ballarat Star, 10 October 1856 . ↑ Victorian Votes & Proceedings of the Legislative Assembly, 02 December 1856. ↑ Ballarat Star, 06 March 1857 . ↑ Ballarat Star, 04 August 1857 . This page was last edited on 26 November 2018, at 08:26.